SUMMER IS FINALLY HERE! 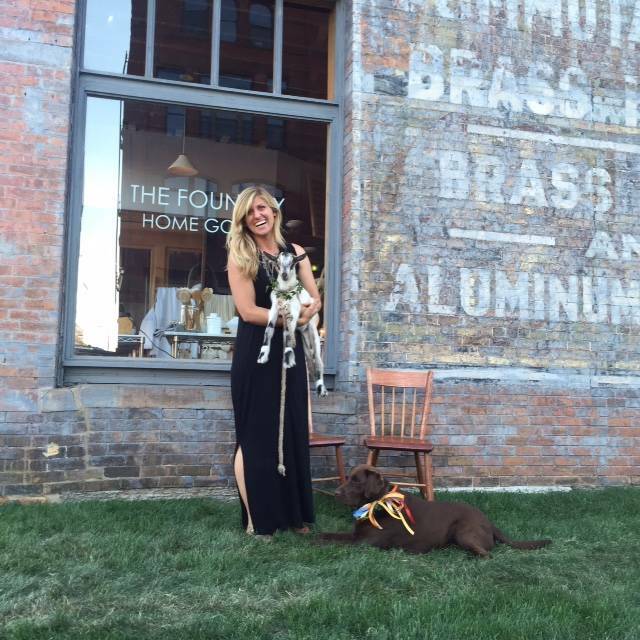 WE CELEBRATED THIS WEEK BY ROLLING OUT THE URBAN LAWN FOR NORTHERN SPARK AND HAVING GOATS IN THE CITY! AS YOU CAN SEE, RUBY AKA #SODDOG KEPT A CLOSE EYE ON THINGS THIS WEEK. SHE'S A MASTER LANDSCAPER AND PRETTY DARN GOOD HAT MODEL TOO. THERE WAS A SPECIAL APPEARANCE BY JETHSON, A 9 DAY OLD ALPINE DAIRY GOAT! Simple, useful, and beautiful objects for the home.